Almost 30 years after Tim Burton’s Superman Lives failed to take flight, Nicolas Cage is finally getting his chance to play the Man Of Steel. USA Today reports that Cage has signed on for a voice cameo in the upcoming animated feature Teen Titans Go! To The Movies, where he’ll finally step into the role of Superman after years of cinematic disappointment. As its name suggests, To The Movies is a feature film version of Cartoon Network’s popular Teen Titans Go! cartoon, which features rambunctious, pint-sized version of some of DC’s younger comic book characters. Cage isn’t the only big name to sign on for the project this week, either; musician Halsey will play the film’s version of Wonder Woman, while rapper Lil Yachty will voice Green Lantern. 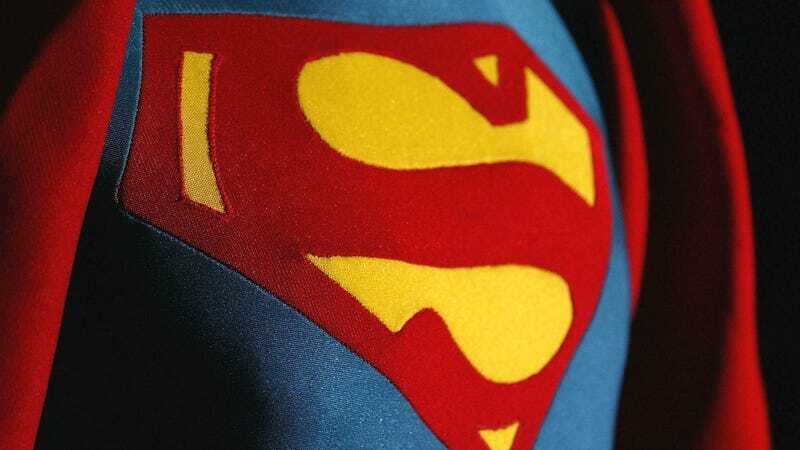 Cage has long been fascinated with the character of Superman; not for nothing, but his eldest son, Kal-El Cage, shares a birth name with Krypton’s last son. Meanwhile, footage of Cage in-character as Supes—collected during the long attempts to get the various Superman Lives projects off the ground—occasionally surfaces on the internet, much to the delight of anyone hoping to imagine Con Air’s Cameron Poe as a spandex-clad, laser-eye-wielding hunk. Teen Titans Go! To The Movies arrives in theaters on July 27.